The construction industry is a key market for MAN Truck & Bus worldwide and the engineering prowess of the organisation has over the years, brought to market a range of versatile chassis cab truck derivatives, purpose-built to meet a plethora of industry requirements to ensure operational efficiency and workplace safety on construction projects. 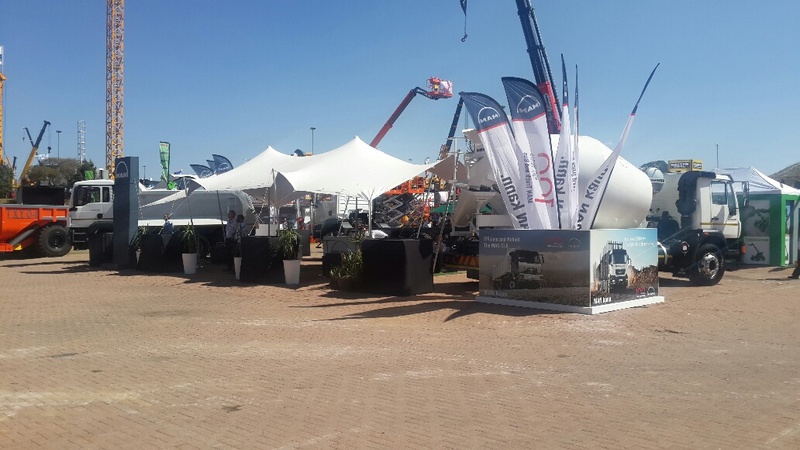 At Bauma Conexpo Africa 2015, MAN Truck & Bus (SA) showcased three truck models, offering construction fleets proven options to satisfy both budgetary and performance criteria. The core focus of MAN’s product development for the construction industry is traction – bringing to market trucks that deliver optimum tractive power to handle the most difficult off-road terrain, in both wet and dry conditions. The evolution of MAN’s on/off-road driveline technologies has reached a stage of maturity to the benefit of all its construction derivatives - from the fuel-efficient, high-torque common-rail diesel engines capable of running cool in high ambient temperatures, to smooth automated and manual gearboxes, to differential locks and hub-reduction axles in both 6x4 and 4x4 configurations. Safety will always be a key concern for the construction industry and MAN trucks have intelligent integrated engine, auxiliary and foundation braking systems that free the driver up to not only drive safely but economically too. Ergonomics are a critical design value for MAN and all its construction vehicles have coil-mounted day-cabs and are designed to minimise driver fatigue, with power steering, airconditioning, air-sprung driver seats, sun visors and lots of convenient stowage space. Robust reliability and sophisticated technologies to ensure maximum uptime and low fuel consumption characterise the three MAN construction derivatives on show at Bauma Conexpo Africa 2015, along with their imposing presence - high ground clearance, steel belly plates and bumpers, headlamp protection grilles and corrosion-protected cabs ensure the hard knocks of the construction site leave these workhorses unscarred. A sophisticated premium-class on/off-road tipper powered by the MAN D20 360hp 10.5-litre common-rail diesel engine, delivering 1800Nm of torque at 1000-1400rpm. The MAN TipMatic fully automated 12-speed manual gearbox with two reverse gears ensures longer clutch life and minimum driver error. Offroad gearshift software allows for better off-road driving in tipping applications with quick gear changes ensuring minimum loss of momentum during driving, resulting in better fuel consumption. The MAN EVBec (Electronically controlled exhaust valve brake) is stage- controlled, producing maximum available braking even at lower engine speed. The MAN BrakeMatic electronic brake system regulates the pressure in the brake cylinders of the individual wheels. The electronic modules are permanently linked to the central control unit via the CAN data bus. In the control unit, a host of actual inputs are evaluated and the optimum brake pressures calculated. Systems monitoring brake pad wear regulation, ABS and the constant braking function (triggering of continuous brake functions) are integrated in the control unit. Automated engagement of the engine brake is governed by the continuous brake management system. Pure Trucknology, along with steel suspension, hubreduction axles with drum brakes all round and medium-to- high ground clearance have helped established the TGS 33.360 6x4 BB tipper as a benchmark-setting earthmover. A versatile chassis-cab single-wheel 4x4 derivative with a raised air intake, powered by the MAN D08 240hp 6.87-litre common-rail diesel engine with electronic diesel control (EDC), delivering 925Nm of torque between 1200- 1800rpm. An EDC (Electronic Diesel Control) and twin fuel filters and Separ water separator, make this turbo-diesel (with intercooler) unit extremely fuelefficient. Equipped with the MAN BrakeMatic Electronic Braking System with ABS, with drum brakes on all wheels make the TGM an ultra-safe and rugged on/off-roader. A MAN Tronic CAN (Controller Area data Network) serial bus system connects computer systems, sensors and actuator units without the need for complex wiring harnesses, delivering high operational reliability with double contact security. Computers optimise driveline and brake efficiency, fuel economy, vehicle reliability, ease of use, and safety. Comprehensive diagnostic functions result in reduced maintenance and repair times. 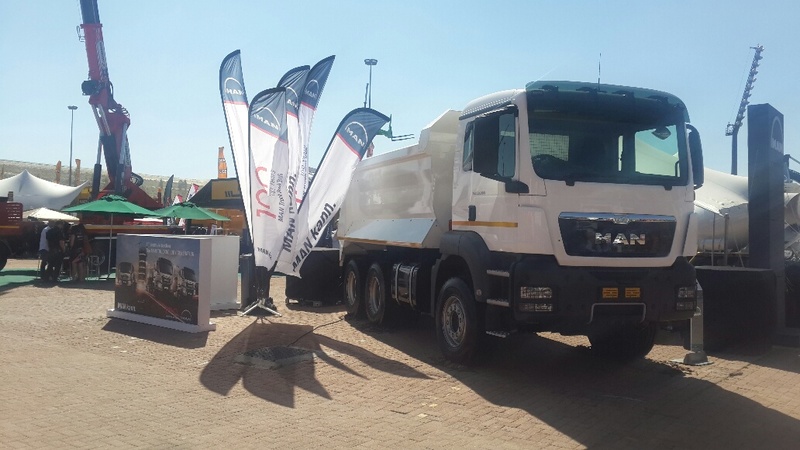 Fitted with a MAN 10t hub-reduction rear axle with diff lock, steel suspension and stabilisers, the TGM 18.240 4x4 is designed for single-wheel applications (water tankers, mounted crane, crew carrier). With a front/rear ground clearance of 359mm and disengagable front wheel drive, the TGM 18.240 is a class-leading multi-purpose 4x4 with power and drivability to take the stress out of site work. 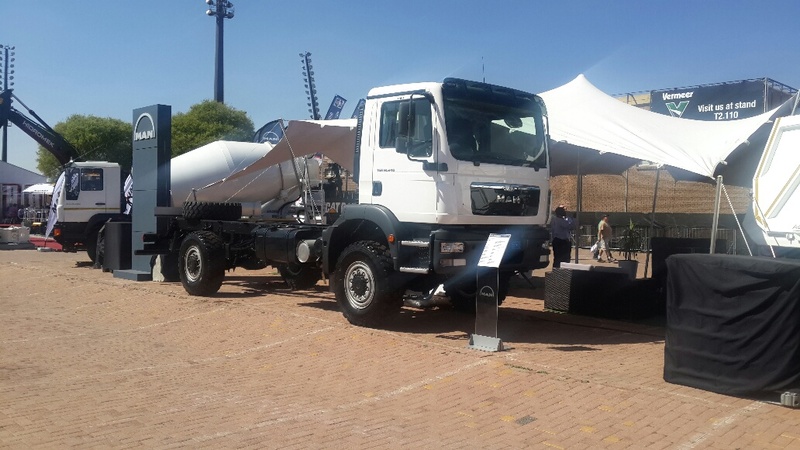 The MAN CLA has become a construction industry stalwart in South Africa since its release in 2008. Offering robust construction with an easy-to- maintain driveline, the CLA is a truck made for Africa. Powered by the MAN D08 280hp 6.871-litre common-rail diesel engine with electronic diesel control (EDC), the CLA displaces 1100Nm of torque between 1300-1700rpm. Low fuel consumption and Euro 3 emission norms are achieved via the commonrail engine and a nine-speed ZF manual transmis- sion with a crawler gear. MAN 11.5t hub-reduction rear axles with diff locks are suspended by trapezoidal springs with high load capacity, making the CLA 26.280 suitable for use in difficult terrain. The MAN engine-driven PTO is engineered to perform at peak torque of 330Nm for prolonged periods, making the CLA 26.280 an ideal mixer platform. Steel suspended hub-reduction rear axles, ABS brakes and power steering give it all-important ground clearance, safety and ease-of-driving. “Despite tough market conditions, the construction industry continues to boom, due largely to longterm infrastructure development projects. Whether it’s building new roads and bridges, or constructing new shopping centres and residential estates, you will find MAN at the heart of the hard work, with each derivative operating efficiently, safely and economically with classleading warranties and full service support from MAN Truck & Bus,” concluded Geoff du Plessis, managing director, MAN Truck & Bus (SA).